In addition to custom framing, we offer other framing-related services such as glass and plexiglass replacement and canvas stretching as well as art and related services through the other Rosenbaum Art Company divisions. Accidents happen! Pictures can get dropped, fall off the wall, or get broken in transit. Plexiglass can get scratched. Our professional framing team in Boca Raton can replace your glass or plexi, and have your framing job looking like new again in no time. If it’s a particularly valuable item, you may want to consider the opportunity to upgrade to museum-quality glass or plexiglass, which will provide additional protection for your items in the future. Our framing factory has all the necessary tools and expertise to help. We create hand-crafted, gilded, and hand-finished closed-corner picture frames, and restore old-world frames. We also offer art conservation services. Our sister division, RFA Decor, can digitally print art and photography on your choice of media. We start with your image in a high-resolution digital file from a thumb drive, memory card, phone, CD or DVD. Once it’s printed, we’re more than happy to help you create the perfect custom framing solution. Through two galleries located in our Boca Raton headquarters, our Miami gallery, and the RFA Decor Hospitality Division, the Rosenbaum Art Companies provide a complete range of framed artwork from posters and giclées to museum-level investment art. With our team of artists, we can also create custom art and giclées. 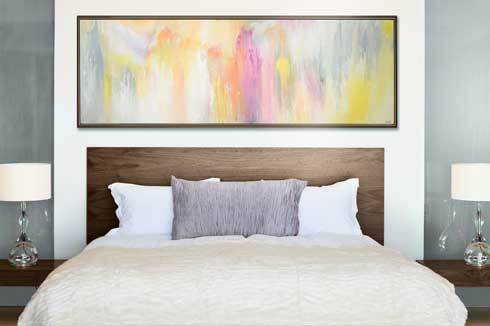 We can even re-frame artwork to better match your decor. With our great variety of styles, sizes, colors, media and price points to suit a broad range of tastes, spaces and budgets, we are a one-stop resource for your art and framing needs. Through our sister divisions, Rosenbaum Contemporary and RFA Decor, we offer free art advising and art consulting services to guide you through an extensive selection of art. Whether you are looking for a statement piece for a home, a new work to enhance your collection, or art to complete the decor of an office, hotel or public space, our experienced art consultants and advisors can help you from the initial selection to the final installation. The process starts with an evaluation and understanding of your tastes, needs, budget and goals. We can even source art for you through our extensive network of galleries and art dealers. We can source sculpture pedestals for our clients in a variety of materials such as solid wood, wood with veneer and wood with laminate. Each pedestal is custom-sized to fit the art. For nearly 40 years, the Rosenbaum Art Companies have been packing and shipping art and mirrors around the world. Our experienced staff can ensure that your art and mirrors are packed in the most secure manner possible to offer maximum protection at the best price. From the highest quality museum-level crating, to the most economical one-way crates, RFA Decor offers a complete range of packaging and wooden crating options for shipping domestically as well as the government-required ISPM-15 heat-treated wood crates for international shipments. With 30,000 square feet of warehouse space at our Boca Raton, Florida, headquarters, we can store art and mirrors until they are ready for delivery and installation or for longer durations. We are committed to the secure storage and safe handling of items entrusted to our care. Our storage facilities include secure, climate-controlled environments for high-value works of art, and all goods are itemized in and out through detailed records. The Rosenbaum Art Companies have been shipping art and mirrors around the world since 1979, so we understand the extra care and protection that is required during handling and transit. With our extensive experience in handling fragile and valuable objects, we can provide the most appropriate method of shipping and handling based on your needs. Our team of professionals has the experience to handle all your art and mirror shipments, whether they’re going across town or around the world, from individual orders to complete fulfillment programs. We carefully screen and evaluate all our logistics partners to ensure that your objects arrive on time and in perfect condition. For international shipments, we partner with licensed brokerage services through our network of qualified and trusted customs agents. A beautifully framed work of art or photo is a very thoughtful gift but you might be unsure of your recipient’s style, taste and needs. A gift certificate from Rosenbaum Framing is highly personal and ensures your gift is just right. Gift certificates can be purchased in any amount. They make great wedding, graduation and baby gifts.